As the U.S. Environmental Protection Agency (EPA) and U.S. Army Corps of Engineers (Army Corps) prepares to release the Trump Administration’s proposed new definition of the “Waters of the United States” (WOTUS), the agencies are providing opportunities for the public to engage in the rulemaking process. EPA and the Army Corps will hold a webinar and a public hearing on the proposed new WOTUS definition. Through these convenings, EPA and the Army Corps plan to solicit input and feedback from key stakeholders as they work to finalize a new WOTUS definition. Webinar Information: EPA and Army Corps will hold a public webinar on February 14 at 3:30 pm ET to explain the key elements of the proposed WOTUS definition. Registration is limited to 2,000 attendees. A copy of the entire webinar will be available afterwards online. Click here to register. Public Hearing Information: A public hearing on the proposed WOTUS rule is scheduled for February 27-28 in Kansas City, Kan. Counties interested in speaking on the proposed rule are encouraged to register in advance for a three-minute speaking slot. The February 27 session of the public hearing will convene at 4:00 pm (local time) and will conclude no later than 8:00 pm. The February 28 session will convene at 9:00 am and will conclude no later than 12:00 pm. The public hearing will be held in the Wyandotte Ballroom of the Reardon Convention Center, 520 Minnesota Avenue, Kansas City, Kansas 66101. The deadline to register to speak at the hearing is February 21. Click here to register. Trump Administration’s Proposed WOTUS Definition: On December 13, the U.S. Environmental Protection Agency (EPA) and the U.S. Army Corps of Engineers (Army Corps) released a prepublication version of a proposed “Waters of the U.S.” (WOTUS) definition to replace the 2015 WOTUS rule issued under the Obama Administration. In its official statement, EPA stated the intent of the proposed definition is to provide a “clear, understandable and implementable definition of “Waters of the U.S.” that clarifies federal authority under the Clean Water Act.” The announcement comes a little over a year after President Trump signed an executive order directing the EPA to withdraw and rewrite the 2015 rule. EPA will accept public comments for 60 days once the definition is officially published in the Federal Register, which is expected to occur within the next week. The new proposed definition would create six categories of regulated waters and includes 11 exemptions. 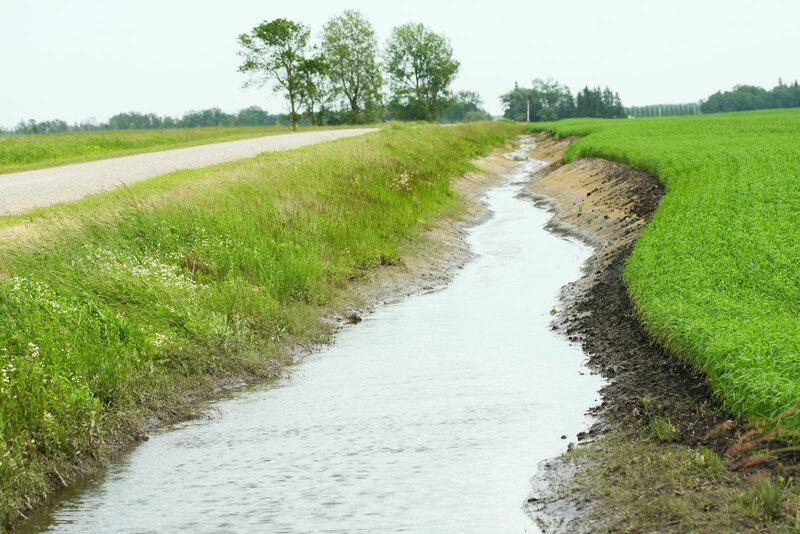 The six categories of WOTUS include: traditional navigable waters; tributaries; certain ditches; certain lakes and ponds; impoundments; and adjacent wetlands. The proposed rule specifies that if water does not meet one of the six listed categories, it will not be considered a WOTUS and clarifies that certain other waters will also no longer be considered a WOTUS, such as ditches, features that are only wet during rainfall events, groundwater, stormwater control features, wastewater recycling infrastructure built in uplands, converted cropland and waste treatment systems. NACo is currently analyzing the pending rule. On February 4, NACo held a webinar with the State and Local Legal Center on the proposed WOTUS rule featuring Samuel Brown, a former EPA attorney and current partner at Hunton Andrews Kurth LLP. Brown provided a summary of the proposed regulation and the potential implication on state and local governments. Click here to view the webinar.